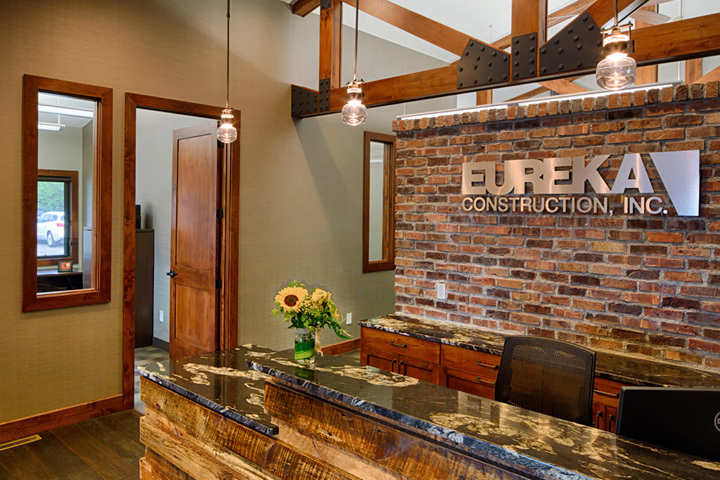 About Us | Eureka Construction, Inc. 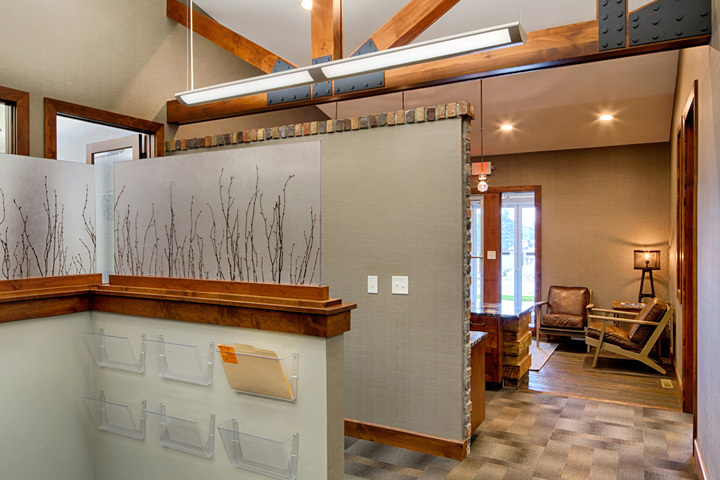 Founded in 1999, Eureka Construction, Inc. has maintained its headquarters in Lakeville, Minnesota growing from its beginning operations out of the owners’ private residence to its third and current office location on Icenic Trail. 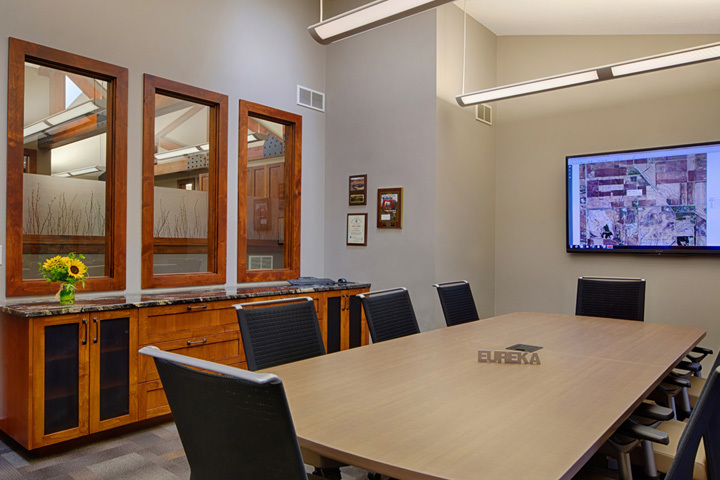 In the early years, one small crew completed local street and utility improvement projects; but Eureka has seen its largest growth in recent years with projects like the 2014 TH 101 Improvements in Rogers, MN and the current reconstruction of Robert Street in West Saint Paul. 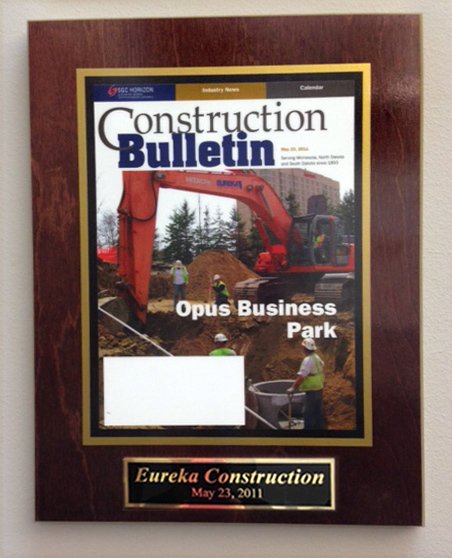 In May 2011, Eureka Construction, Inc. was featured on the cover of Construction Bulletin magazine for our work on the Opus Business Park project. 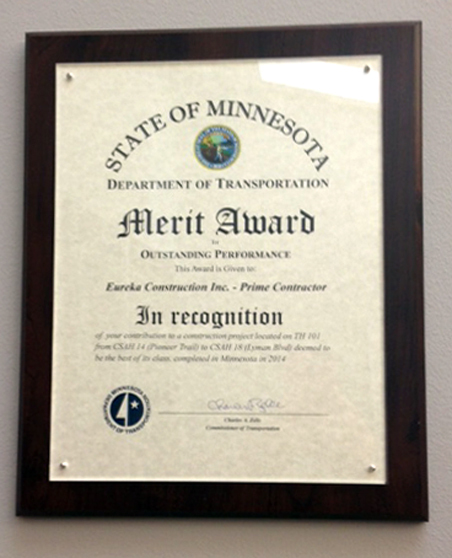 2011 MNDOT Merit Award for Outstanding Performance in high quality concrete pavement performed on White Bear Avenue from Radatz Avenue to CR D in Maplewood and was deemed the best project of its type completed in Minnesota in 2011. 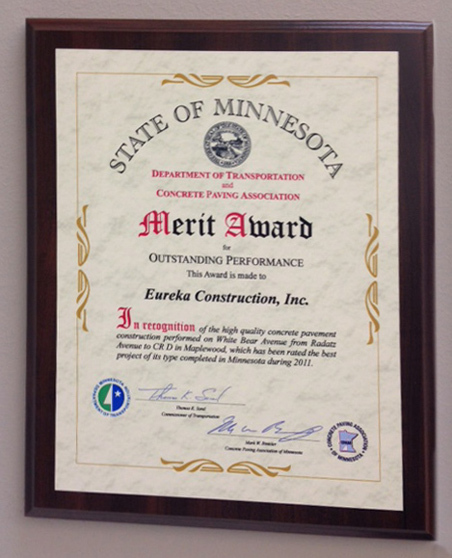 2014 MNDOT Merit Award for Outstanding Performance for Eureka Construction’s contribution to the construction project located on TH 101 from CSAH 14 (Pioneer Trail) to CSAH 18 (Lyman Blvd) in Chanhassen, Minnesota. 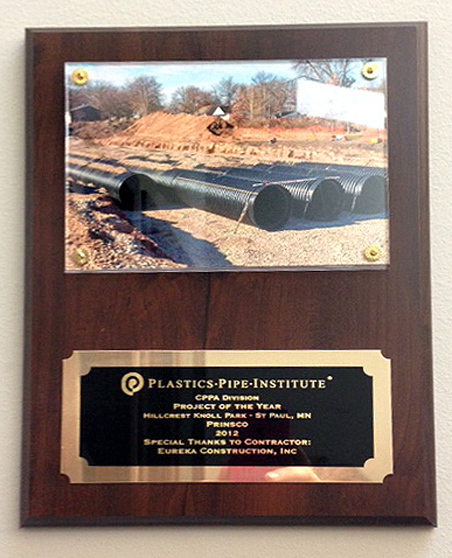 2012 Award of Recognition from the Plastic Pipe Institute for Project of the Year, Hillcrest Knoll Park in Saint Paul, Minnesota.